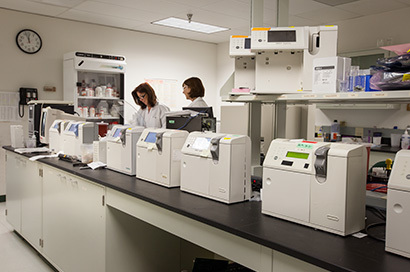 Medica Corporation’s diagnostic products help laboratories achieve greater efficiency and testing accuracy across a broad range of blood testing applications. Deployed around the world in small- to medium-size clinics, physicians’ offices, specialized care centers, and hospitals, Medica’s analyzers allow testing to be performed on-site. In-house testing helps clinics lower overall costs, produce timely results, and improve patient satisfaction. Medica works closely with clinics to optimize the performance and productivity of their analyzers. With simple, push-button operation, advanced integrated reporting software, and low maintenance requirements, Medica diagnostic analyzers enable lab technicians to increase productivity and deliver quality test results.